Summer may be considered the worst time for pests, but the Fall months can bring their own problems, too. As the weather gets cooler and winter approaches, many pests will turn their attention to finding warmer, safer places to shelter and locate food. Unluckily for you, your home is the perfect place for rodents and insects to ride out the bad weather. Where once you could avoid vermin and creepy crawlies by staying indoors, now they are coming to you! Let’s take a look at what you might find and how you can protect yourself from a winter pest invasion. You’ll find a lot of variety when it comes to the kind of pests invading your home during the colder months. They are all looking for the same things – a warm, secure place to shelter, and a good supply of food. 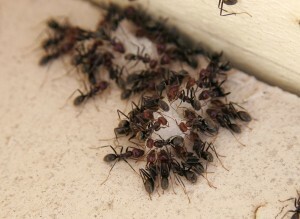 It’s not hard to see why the average home makes for such a popular choice among pests. Ants may be small, but they can be a big problem. There are dozens of different types of ant that could try and make their way into your home, and if they get in they could cause serious damage. Carpenter ants can chew through beams and furniture, while other types of ants may contaminate foodstuffs if they are left exposed. No one wants to find ants on their dinner! Remember that there is no such thing as a single ant. If you see the odd ant in your home, you need to kill it. These lone ants are the scouts for the colony: let them leave and they’ll return to the nest with news of the ample food and shelter your home contains. Mice and rats will be one of the biggest problems as the weather turns colder. They can squeeze through incredibly small cracks and holes in your property, so it might not be possible at first glance to see how they are getting in. Once inside, they will often gnaw through beams, walls, and electrics. Left long enough these vermin can cause serious structural damage and even fires. They also breed incredibly quickly, so a couple of mice or rats don’t stay that way for very long. Another problem with rodents is that they often bring other visitors into your home along with them. Fleas, ticks and lice can all enter your home on mice or rats, along with serious diseases such as Salmonella. Not only are cockroaches one of the most abundant pests, they are also one of the most disgusting. Nobody likes to see even a single cockroach in the bathroom, or running across the kitchen counters. An entire infestation of them, on the other hand, can make a home uninhabitable. There are dozens of different species of cockroach that could come into your home, bringing in harmful bacteria and diseases along with them. They can also cause problems for people who have asthma. There will be a lot of insects out and about this autumn, and as the temperature drops, they will turn their attention towards warmer, more comfortable places to shelter. Stink Bugs aren’t particularly dangerous – they don’t carry any diseases or show any aggressive tendencies – but they can contaminate clothes and food, and as the name suggests, they can cause a particularly nasty odor. 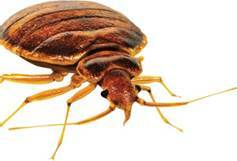 Bed Bugs, on the other hand, can be much more of a nuisance. They are very good at moving around attached to people, clothing, bags, or pets and hang around a number of public areas. Bed Bugs bite and draw blood, leaving uncomfortable wounds on the skin. This can often happen while you are asleep, which can make you scared to go to bed. You shouldn’t have to feel afraid of your own bed, in your own home! The best way to combat pests is to ensure that they never find their way into your home in the first place. There are plenty of pest prevention steps you can take to ensure your property is as safe from pests as possible. Lots of strategies involve making your home as unappealing to pests as possible – don’t worry, you won’t notice the difference, other than a lack of creepy crawlies! When it comes to getting rid of pests, or keeping them away, many of the tactics you will need to use are the same regardless of what kind of visitor you are trying to keep at bay. Using these general methods ensures that all types of pest have a hard time of getting into your home, or will find little reason to bother. Being small means that pests have an easy job of getting into your home. However the steps to keep them out and away are simple. The first step is to block off any potential entrances to your home, which means sealing all the cracks in the outside of your home, especially at ground level. Make sure you get any places where pipes enter or exit the premises, as well as around the windows and doors. The next step is to make your home less appealing. Pests will first come scouting into your home to look for food. Keeping foodstuffs in airtight containers, cleaning away any waste, and sweeping the floors regularly will ensure there is nothing left for them to find, and no odors to attract them. When it comes to rats and mice, thinking about the outside of your home is a good place to start. Easily accessed bins, bird feeders, compost piles or other trash can be a welcoming sight for rodents. Remember to seal off all those easy points of entry into your home. You need to be extra careful with rats, who are capable of gnawing through concrete if they have a mind to. Unlike the other pests in this article, who will venture in by themselves, you could be responsible for Stink Bugs and Bed Bugs making their way into your home. They are great hitchhikers, and not every place you go will have as high standards of hygiene as you. It is worth checking your clothes and belongings before leaving places such as hotels or public places where bags and coats might have been resting on the floor. Pests, particularly cockroaches, love moisture and unsanitary places. Keeping your home clean and dry is the best way to ensure no cockroach will consider it a good place to take up residence. Keep your garbage bin away from your home, in particular away from any doors, as cockroaches will be drawn to this. Wash any jars or bottles before putting them in the recycling to eliminate any tempting traces of food. STILL GOT PROBLEMS WITH PESTS?